Blogging is an important way of getting noticed by engaging with your audience and promoting your business. 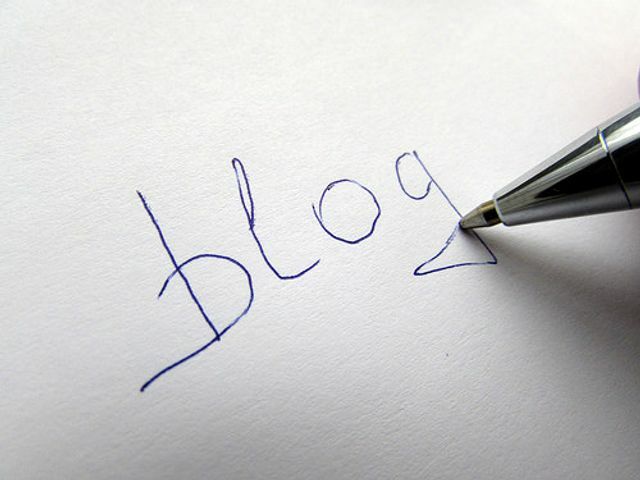 Blogs are usually a page long and are written on different topics such as sports, news or business. If you are a start-up I’d recommend that you write blogs, as it gives you the opportunity to raise your profile which can result in attracting new customers. It is important your material is fresh and current as this will ensure your customers are up to date with your products and services. If you are writing blogs for social media and operate on different platforms such as Twitter and Facebook, ensure your content is up to date on all platforms.This will result in your audience being updated with new content at the same time. 1. Free advertising - Writing blogs can be considered to be free advertising, as you are promoting your business by discussing topics online. There are lots of free blogging platforms to choose from such as WordPress, Wix and Weebly. These are popular among bloggers as they are user friendly. 2. Increased traffic - Creating a blog will give you the opportunity to make fresh and up to date content for your audience. When blogging on social media it’s worth adding a link to your website. This allows you to direct your audience to your website which can result in increased traffic. 3. Increased Search Optimisation (SEO) - Standing out from the crowd is important, you can do this by creating fresh content by using keywords and categories relating to your blog or business. Using key words for example, if you make cakes include key words such as cakes, birthdays and weddings this will allow your blogs and business to be found easier. 4. Creating a brand - Blogging allows you to engage with your audience, and to discuss topics relating to your business. Most importantly you can increase visibility and generate interest around your business. 5. Presence - Writing good blogs on topics relating to your sector will help you to build trust and confidence with your audience. This should enhance your professional image as your audience will value what you write. Blogging is free and easy it will allow you to grow and expand your business by creating new content and engaging with new audiences.You should research which platform will benefit your business and works best with your brand image. Internet-only media companies are grabbing the biggest slices of the online advertising market, while traditional news publishers have fallen far behind and been forced to make cutbacks.